Lemon if put to good use and used to its maximum can be a total magical thing for you. Use it Wisely. Lemon zest has got more flavor than the lemon juice. It has a nice tangy scent and a lemony flavoring because obviously its a lemon. For me, lemon zest is GOOOOLLĹLLDDD! Get a good zester or a good quality grater and let the zesting begin. You will never have to buy those cheap bottles of lemon flavouring and essence. Preserve the zest. Freeze it, wrapped in cling film. Next time a recipe calls for lemon flavouring, you have that Gold right there. When Life Gives You Lemons …Squeeze Them!! That’s not rocket science though. 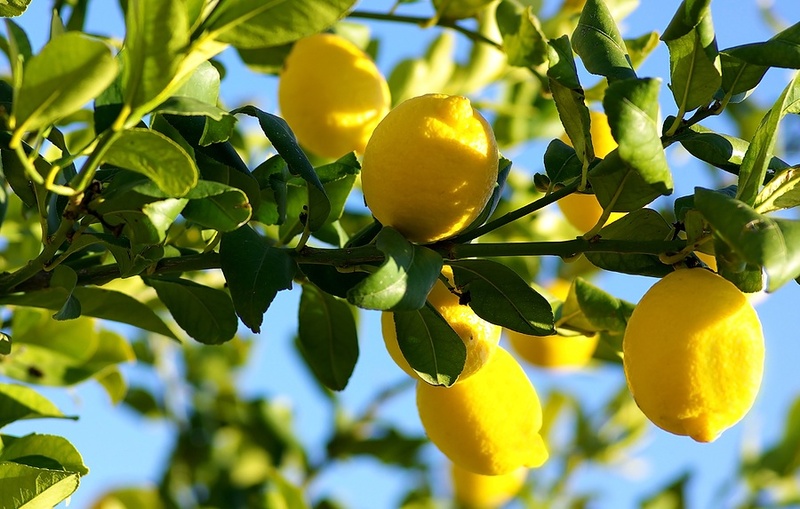 But once you get a huge quantity of lemons, squeeze them out and freeze the juice. You can freeze it in ice-cube trays. Need a lemonade?? Get a cube, top it up with sparkling water or still water with sweetener/no sweetener/honey and a sprig of mint. And if you are feeling a bit adventurous, add a drop of blue food coloring and Ta-daaa ELECTRIC LEMONADE that restaurants rip you off for. When Life Gives You Lemons … CLEAN !! Taken out the zest, squeezed out the juice, now whatever is remaining, that’s still not garbage. Clean your stove tops !! Just rub them on all those greasy stove tops and they’ll be shining bright like a diamond. When Life Gives You Lemons … Detox !! I have only tried it once and it does work but i am not someone to continue with these whole detoxification therapies. But if you are not a lazy bum like me, do follow those detox drinks recipes with lemons. When Life Gives You Lemons …Unblock Drain!! Works like a charm. Boil a pot of water, add the lemon (take out juice and zest), baking soda and pour it in your sink. That’s going to be a smooth unblock !! That sight itself is relaxing. When Life Gives You Lemons …Sauce It !! Bake fish in lemon butter sauce tonight !! You got your zest in the freezer, the juice in the freezer, take them out and put to good use. When life gives you lemons and life is really crappy with crappy people around…squeeze them in their eyes ! !